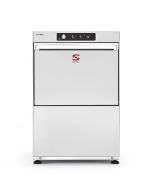 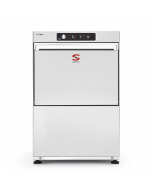 The Sammic Pro Line of commercial glasswasher was conceived to obtain a fully guaranteed professional result whilst offering value within budget. 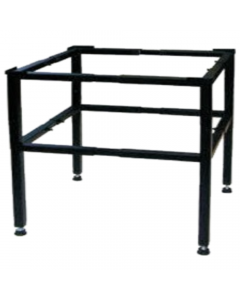 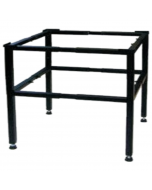 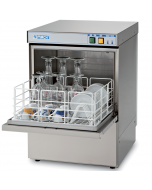 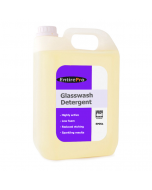 They are an ideal glasswasher for establishments that have a restrictive budget and require a medium to light duty glass washing load. 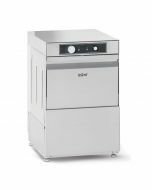 Offering easy to use electro-mechanical controls with a range between 350 and 400mm basket glass washers, they are great for bars, pubs, clubs and restaurants (particularly front of house installations behind bars). 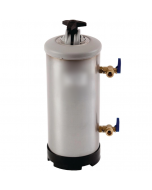 Double water filtering adds greater protection to the water pump of broken glass. All glass washer models also have additional safety filter system for the drain pump. 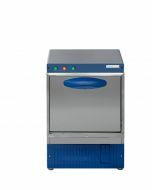 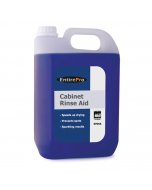 Operation is entirely automatic and a guaranteed washing at 55c and rinsing at 85c to guarantee effectiveness in disinfection of glasses during rinsing. Precise temperature control is offered through safety thermostats for the rinse tank element, stopping if there is no water and reducing energy consumption. 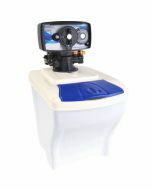 All machines sold with waste and water hoses for standard UK fitting. 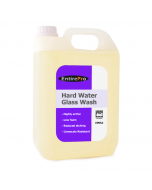 Glass washers should be used in connection with a water softener to ensure machine longevity and sparkling glasses.